I love it when people I know get professionally published, even when I don't know them all that well. Mike Duran and I have exchanged notes a couple of times over email the last couple of years, mostly because we both did a little work (okay, I did a little, he did a lot) with a little magazine called Coach's Midnight Diner. I follow him on twitter. I lurk around at his blog from time to time. When Ruby Case, an unassuming crippled woman, inexplicably raises a boy from the dead, she creates uproar in the quiet coastal town of Stonetree. Some brand her a witch, others a miracle worker. Yet Reverend Ian Clark could care less. Dogged by demons and immersed in self-pity, Clark is being unwittingly drawn into a secret religious order--one that threatens his very life. But he's about to get a wake-up call. Together, Ruby and Reverend Clark are thrust into a search for answers... and a collision with unspeakable darkness. For behind the quaint tourist shops and artist colonies lies a history of deceit. And a presence more malignant than anything they can imagine. 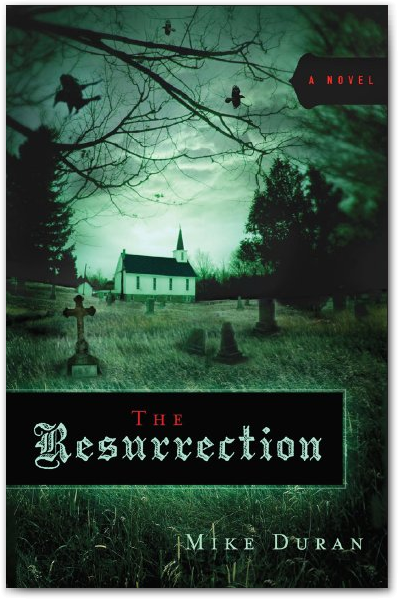 Yet a battle is brewing, the resurrection is the first volley, and the unlikely duo are the only ones who can save them. But can they overcome their own brokenness in time to stop the evil, or will they be its next victim? usually keeps track of who has posted and on what topics.